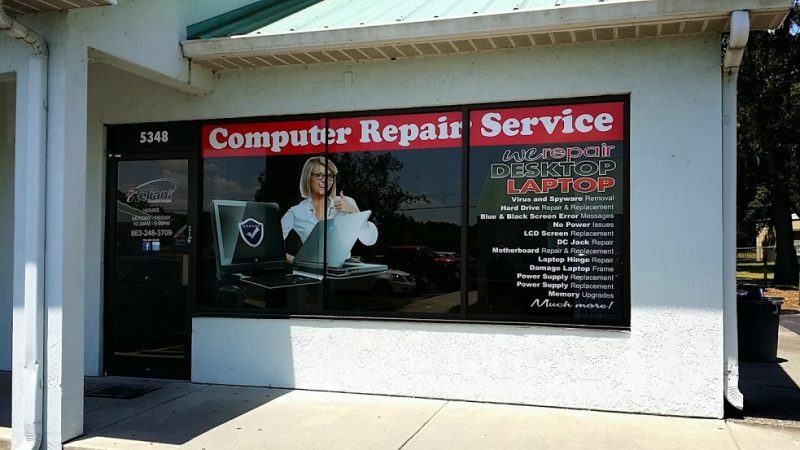 The best computer repair service in Lakeland, FL is coming closer to you! At Reliant Computer Services we know that when your computer or mobile device malfunctions or gets damaged you need it fixed as soon as possible without having to wait around, or travel too long to the nearest repair shop. This is why we have expanded and have come a step closer to you with the opening of a new store in Lakeland, Florida. The new store is located at 5348 U.S. 98, Lakeland, FL 33809 – across the road from Just Brakes in the old town shopping centre. The place is easy to find so you should have no trouble catching up with us in person. In case you are having hard time finding our new Lakeland address, by all means contact us online, or speak to one of our consultants over the phone and they will provide you with the necessary information – quite handy if it’s your GPS navigation that you need fixed. Our new store gives you access to all the repair and diagnostic services we offer, including those vital ones like spyware and virus removal. Lakeland private and business customers can get in touch with us throughout all weekdays, as well as on Saturdays. Our new store adheres to the usual same day repair policy, unless of course we have to order in replacement parts or components for your computer or mobile device. Should you need information or advice over the phone, please feel free to call us – there are no annoying answering machines or automated menus. As expected, our new store makes no exception and is run by qualified personnel who will swiftly and attentively get to the bottom of your computer problem and ensure your device is up and running as soon as possible. We aim to provide the best possible computer repair service Lakeland residents have ever had access to, and so far we have managed just that. Our freshly opened store (address listed above) is the proof that we still hold lead, and we’re still number one in computer repair in Lakeland, FL. Technical capacity for repair and maintenance of our new store spans over desktop computers and laptops of all makes and models, mobile devices including transformer books, tablet PCs, smartphones and other similar devices of all makes and models. We also address peripheral device issues and deal with most home and office network infrastructure and internet access problems.